Malibu Beach Bungalows, Koh Phangan, Thailand. Discover the serenity which is nestled in the warm and white sands of the magnificent Chaloklum Bay, Koh Phangan. The newly renovated and beautifully decorated bungalows are surrounded by our beautiful tropical garden and the crystal blue water. It is a paradise hideaway where luxury meets natural beauty. 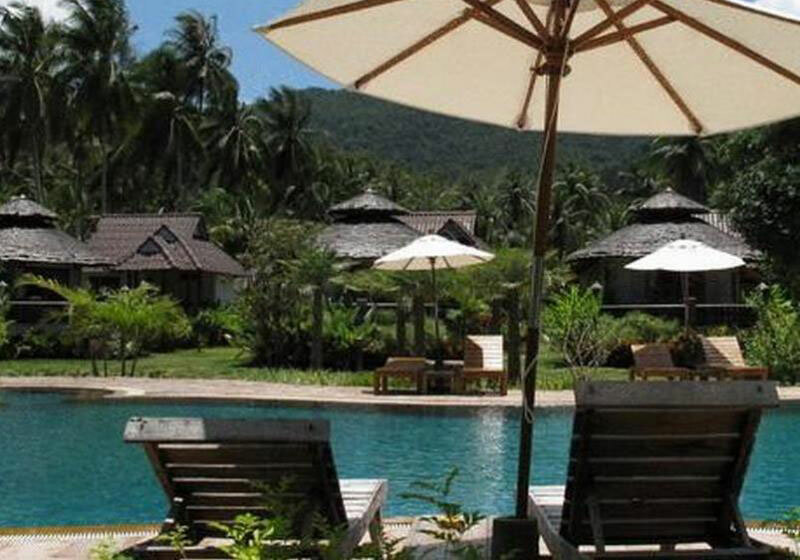 Malibu Beach Bungalows are located on one of the most stunning private beaches at Koh Phangan in southern Thailand. Malibu Beach Bungalows are found at Chaloklum Bay on the northwest coast of the island. The resort occupies an extensive beachfront on Malibu beach which is one of the most beautiful spots on Koh Phangan with a beachfront restaurant and bar positioned within the undergrowth. Malibu beach sits on a small island in the centre of ChalokLum bay with superb views over the stunning surroundings of the bay and mountain backdrop (Khao Ra the highest mountain of Koh Phangan). Malibu Beach features white silky sand allowing a perfect spot in which to relax and gaze at the stunning mountain scenery that frames the bay. Short Description: Malibu Beach Bungalows, Koh Phangan, Thailand. Discover the serenity which is nestled in the warm and white sands of the magnificent Chaloklum Bay, Koh Phangan. The newly renovated and beautifully decorated bungalows are surrounded by our beautiful tropical garden and the crystal blue water. It is a paradise hideaway where luxury meets natural beauty.